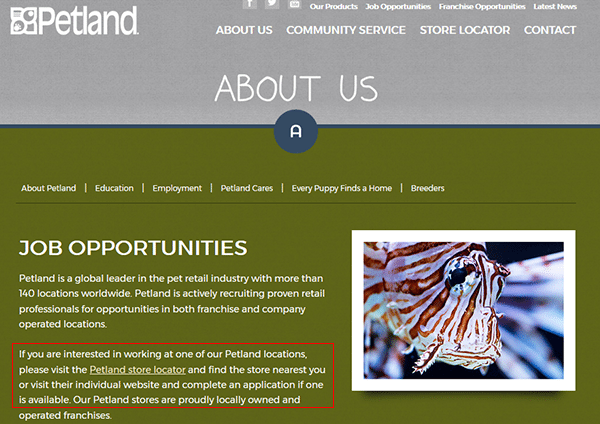 The Petland job application is available both online as well as offline (as a .PDF document). 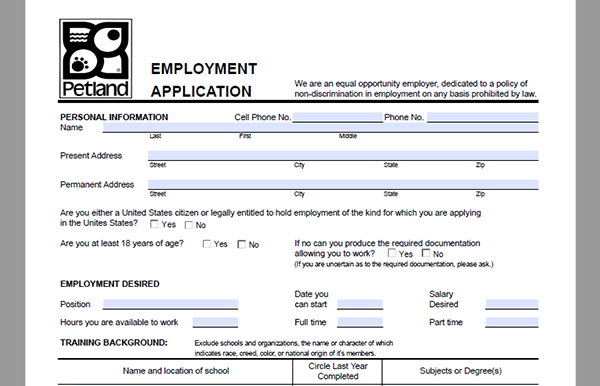 Use the links posted on this page to download the form or access the online application. The guide posted below provides an overview of the online job search/application processes. 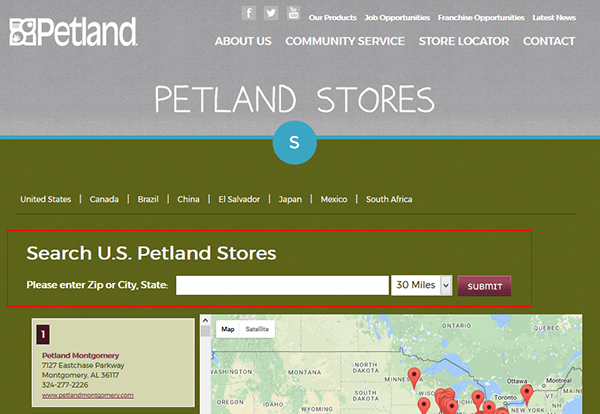 About the Company: Petland is an American chain of pet/animal supply stores based out of Chillicothe, Ohio. The company operates/franchises more than 150 stores throughout the world (with the majority of locations being in the United States). Step 1 – Go to the company’s main employment page by clicking here. Step 2 – Click the “store locator” link as outlined in the below screenshot. Step 3 – Enter a zip code, city, or state into the input field. Click the “Submit” button to load the results. Step 4 – Use the list on the left side of the page to review the results. If the location that you want to submit an application to has a website click the link. On the location’s website look for the employment/careers page and fill out the online application. Note: Not all locations will have a website. Due to the fact that numerous locations are independently owned/operated, hiring processes will differ from location to location. Step 1 – Download the form by pressing the link/button at the top of this page. Are you a U.S. citizen/have the right to work in the country? Can you produce the required documentation proving you can work?